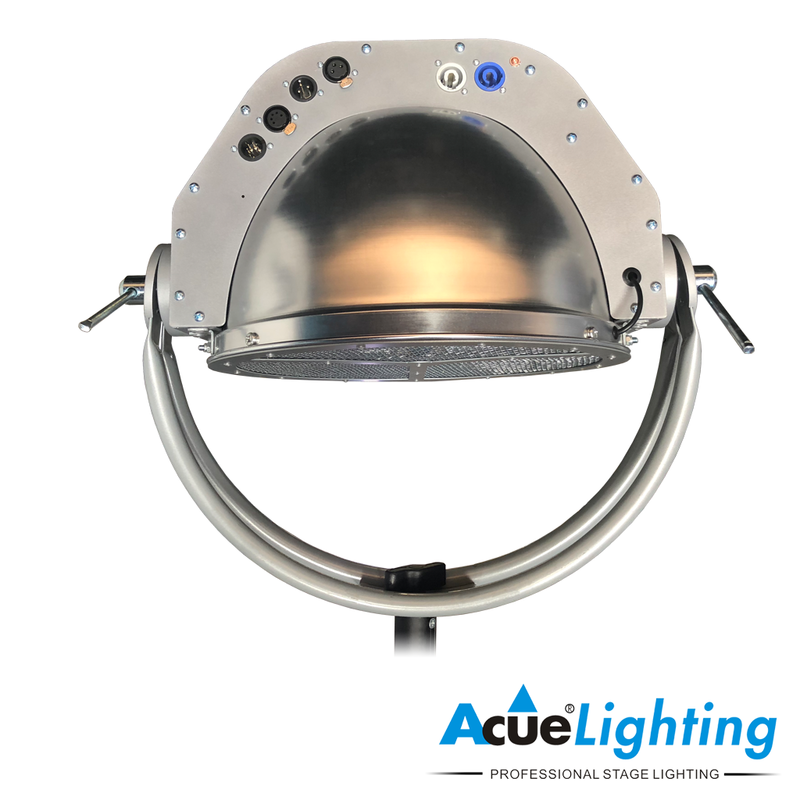 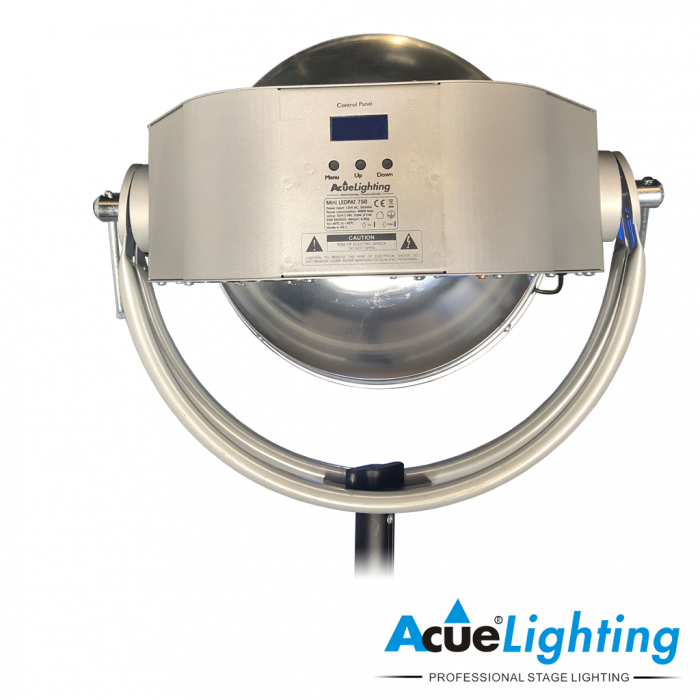 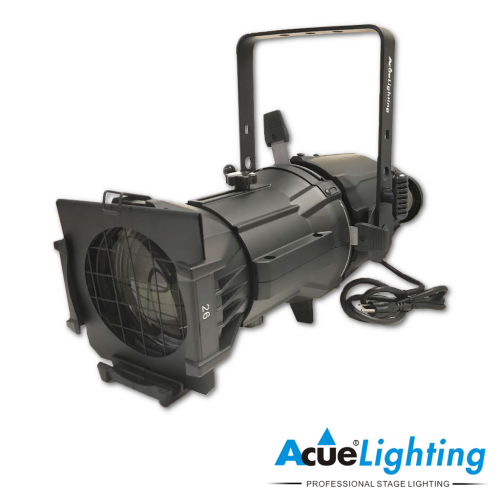 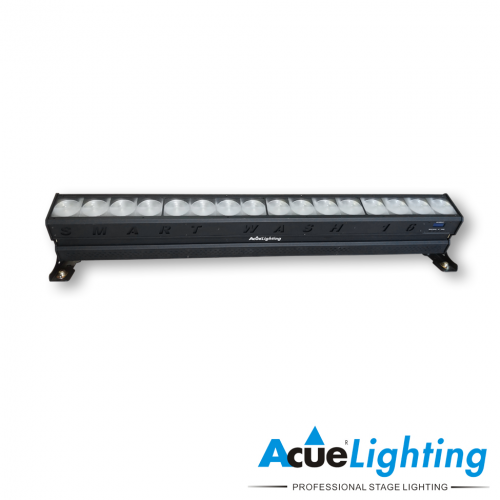 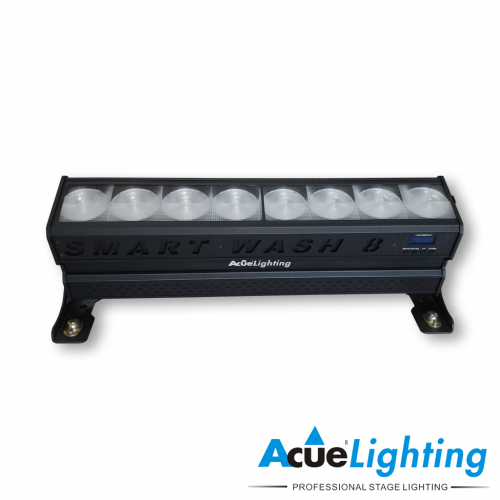 The Studio Glow is a versatile fixture well suited for use in theater, television and live productions. 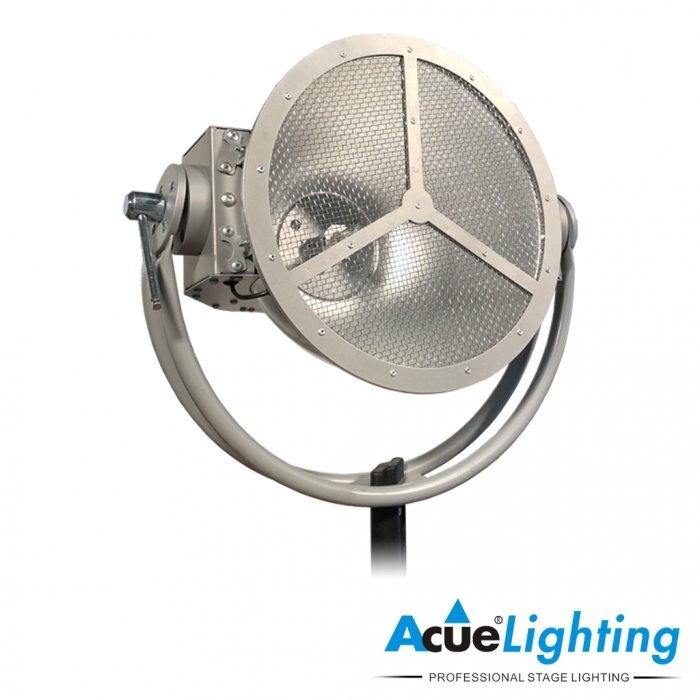 It features 5050 RGB LEDS with a built in flicker / flame effect, strobe effect and color macros. 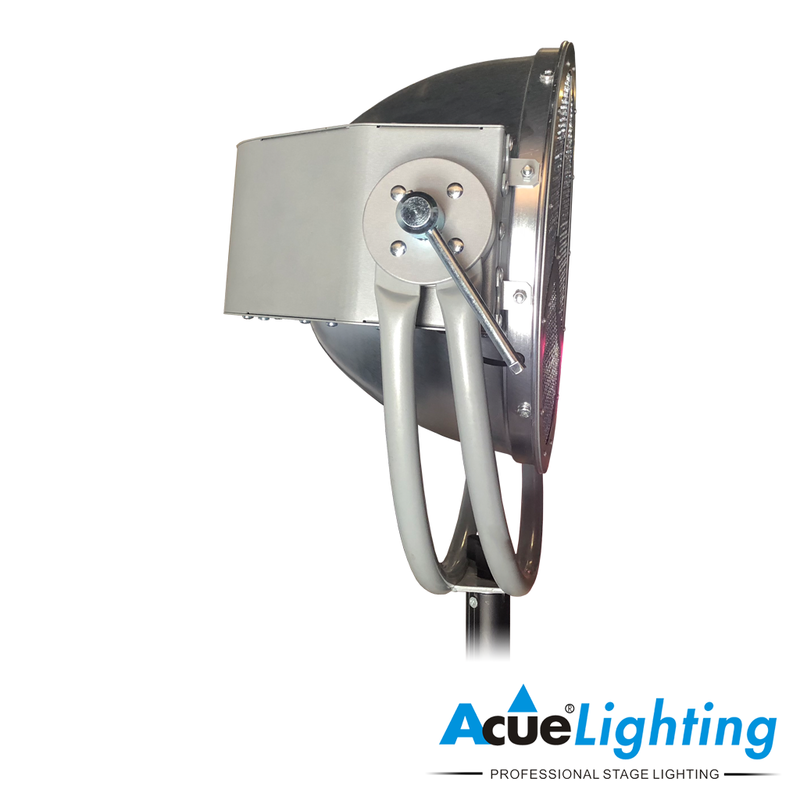 The 21.5″ model house a 750W warm white tungsten lamp, while the 13.5″ model house a 575W lamp. 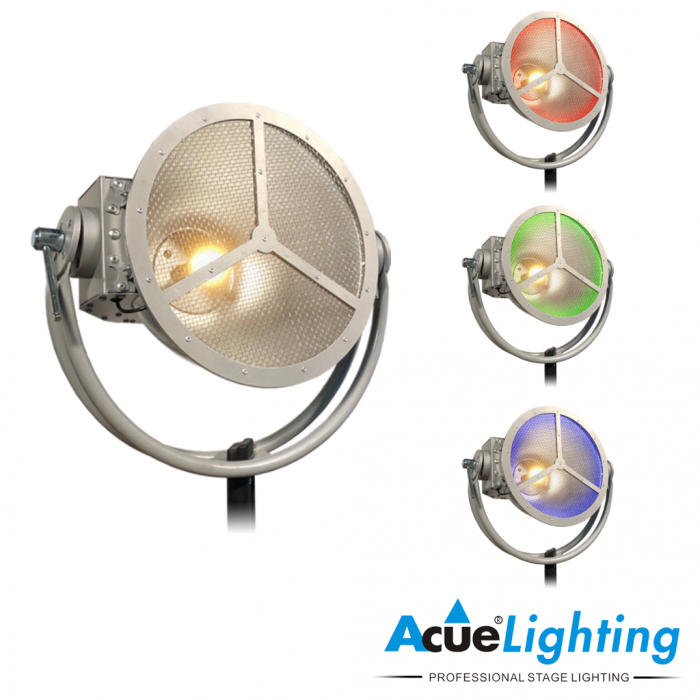 Having both a filament lamp and a LED light source enables lighting designers to create truly unique effects. 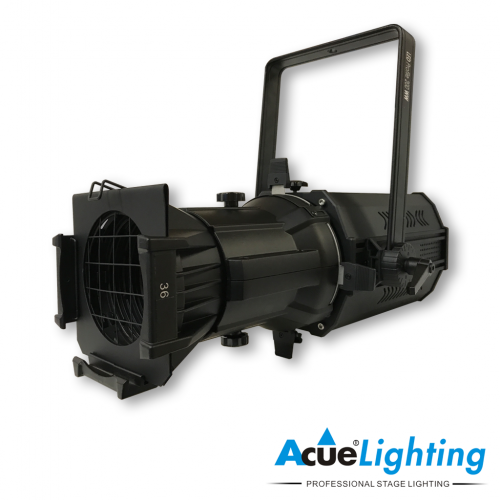 The fixture may even double as a blinder and is also DMX controllable.